Yes, the next article goes up on April Fools Day, so the featured show is all about getting a particular person (or two) to believe everything going on around them is real… when it’s actually more phony than a three-dollar bill. Almost a mockery of a particular type of show not featured on this site before, and most appropriate for this holiday. Of course, the actors themselves were walking a tightrope, improvising as they went. OK, so the last “quote” predates the show itself by many years, but it’s still appropriate for the subject matter. Whether you’re looking to live in the lap of luxury, or just hoping for a last chance for love, you can look here… and find something else completely, this Friday @ 8/7 Central!!! The creation and production of any television series really is exactly that, a challenge. Actors, writers, and other production people are all trying to bring a creative vision to life that will, hopefully, attract an audience large enough for it to stay on the air. In the current TV environment, that can be more than difficult, especially with the multitudes of competing media. Trying to find a voice that speaks to many, and getting those viewers to watch, is an effort even a superhero might shy away from. But still the effort is made. That’s how we got The Cape. I wrote in my Christmas entry how shows need to be given time to grow, to get exposure, and to find their own “voice” as a series. I used as an example a picture from the (then) upcoming series The Cape, due to premiere in January (with a caption about hoping it wouldn’t disappear by February). Let’s hear it for a heroic effort, at least. 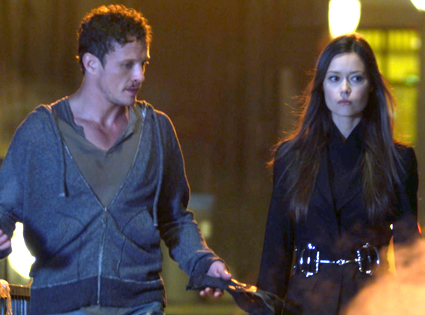 Vince Faraday (David Lyons) is a cop in Palm City, one of the last remaining good guys left in a place that’s becoming overrun by criminals of both the underworld kind and the crooked cop kind. He’s framed for a series of crimes being committed by a supervillain known as Chess, and in the ensuing chase (shown live on TV) Vince is believed to have been killed in a tremendous explosion. Faraday is thought to be dead, and he decides to remain that way publicly, to protect his family from any possible reprisals. But he also wants justice to be served, and to clear his name…. Faraday falls in (almost literally) with a circus troupe that finds him left for dead. Informally known as the “Carnival of Crime”, Vince ends up being trained by its leader Max Malini (Keith David). Max and his group of crooked carnies take Vince under their wing, training him in acrobatics, the trickery of performance magic, and other feats unknown to most, allowing him to intimidate his foes and do things he never thought possible. While Max is something of an inscrutable “Yoda” to Vince’s “Luke Skywalker”, Max is also uninhibited by little things like morals and “right and wrong”, adding layers to the idea of what a “hero” has to be in a world that doesn’t recognize pure good and evil anymore. But Max provides Vince with his greatest tool of all, and that’s the “Cape”. More than just a superhero accessory, in this case the “Cape” is an instrument that can be used and manipulated as a weapon, a distraction, and an extension of Faraday’s self. Faraday uses it to become a masked avenger known as The Cape, which is also a message to his son Trip (Ryan Wynott), a fan of the comic book character of the same name. He even appears in disguise as The Cape to his son, telling him to continue to fight the good fight, and that Trip’s father was a good man, no matter what the public may believe after his being framed. Faraday isn’t really a superhero in the traditional comic sense, in that he has no superpowers, isn’t immune to physical damage, or has any special abilities. He’s got his wits, his police skills, whatever training he’s absorbed from the Carnival, and a dogged sense of determination to protect the family and city he loves. In this day and age, that does make him a superhero, Cape and all. 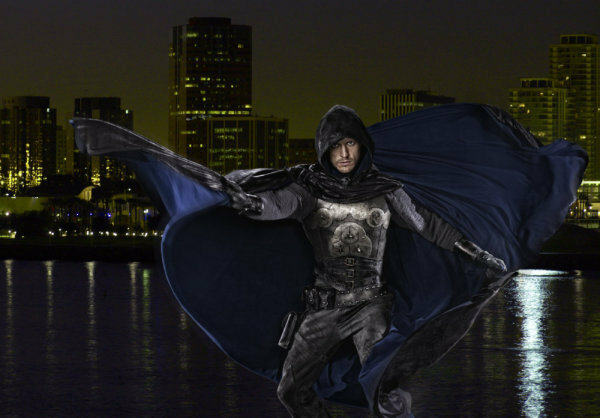 Faraday then takes the fight to the criminals of Palm City. 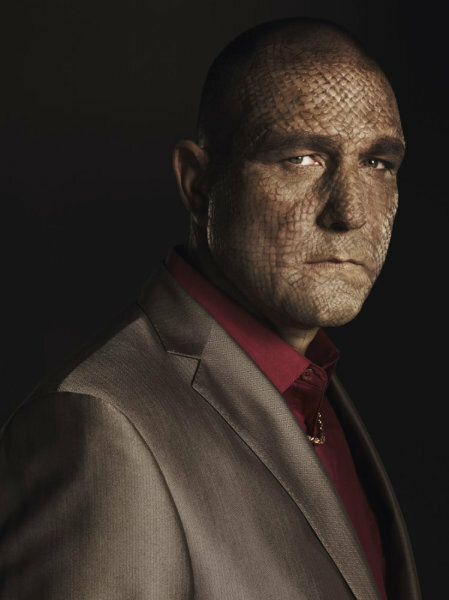 He has battles with strongman Scales (Vinnie Jones), named for the unusual skin condition that makes him look almost snake-like, but also gives him a tougher hide and allows him to take an unusual amount of punishment. He’s a rough-and-tumble dockside crook with designs on being something more refined, although that’s unlikely to happen with his too-direct manner. Refined is better applied to the aforementioned ultimate bad-guy Chess (James Frain), who’s public alter-ego is responsible civic leader Peter Fleming. Fleming is supposedly also fighting crime in his own way — by privatizing the city’s police force, with the ultimate effect of putting the fox (himself) in charge of the chicken coop. Through his calculated manipulation and intricate plotting, he can do almost anything he wishes… if it weren’t for that pesky guy calling himself The Cape interfering. Vince (as The Cape) is even involved in having to save Fleming/Chess from other people the criminal has crossed in the past, if only to make sure Vince’s own name may be ultimately cleared. Another level, as we have a hero who has to, on occasion, protect the villain.. and you can be sure the villain has no inclination to return the favor. Others are involved, including the “little person” Rollo (Martin Klebba) of the Carnival of Crime who’s the surprising muscle of the group, and Faraday’s wife (widow?) Dana (Jennifer Ferrin), a lawyer/public defender fighting for justice in her own way. But The Cape’s greatest ally in Palm City is the mysterious Orwell (Summer Glau), an investigative journalist and internet presence who is on the trail of Fleming’s alleged crimes. Although she’s quite a mystery herself, Orwell aids Faraday in his fight for justice. In fact, her fight against Chess may turn out to be something more personal, just as Faraday’s fight ultimately is more about getting his own life back than any noble heroic cause. None of the characters are really on the same page in this show, creating many different shades of grey in what was promoted as a colorful comic-book. The Cape operated on a number of different levels, some more successful than others. The fact that our hero Faraday actually learned his craft from a group called the Carnival of Crime meant there was friction between them, because Faraday was a former cop fighting for justice and the circus performers robbed banks (although they had a strict code that no killing was involved). Scales was (despite his looks) a much more traditional bad guy, using brute force to achieve his ends, but desiring a bit more respect than he even likely deserved. Chess/Peter Fleming played both sides of the fence, portraying a public persona supposedly interested in positive achievements for the citizens of Palm City, but in reality manipulating events for his own gain in a much more sinister manner. Orwell was trying to stay anonymous (for her own reasons) and yet shine a light on the villainy of the city. And then there was the entire saga of Faraday’s family, his remorse for leaving them behind, and his desire to regain the life he lost. Levels of good and evil, levels of trust and betrayal, levels of truth and lies…. A bit deep for what television (and TV viewers) traditionally consider “comic-book” style adventure…. And maybe that was the problem, as far as NBC was concerned. Anyone who actually reads comic-books (or, as they’re more properly known in modern parlance, “graphic novels”) would understand that today, they’re a far cry from the simplistic stories for the pre-teen set of yesteryear. Stories of personal emotion and angst are combined with larger-than-life characters and situations, but the best of these still remember that without a good story, all the colorful pictures and whiz-bang adventure in the world falls flatter than the four-color printed page. Were the executives at NBC familiar with this idea, or were they thinking that a flashy show about a would-be superhero would be enough? Judging from the early commercials, maybe the flashy camp style was winning… but it’s hard to get the depth of levels across to an audience in 30-second commercials. It’s much easier to show off the over-the-top look of potential villains and hope viewers will tune in. Of course, executives at NBC probably had other things to worry about at this time. 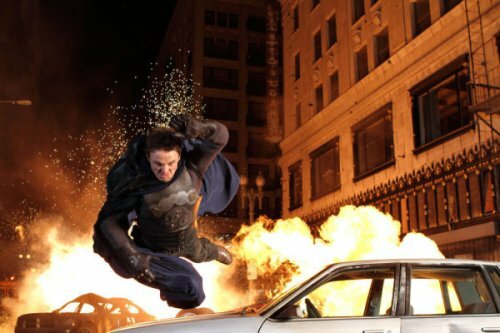 The Cape aired from January through February 2011, and it was during this same period of time that NBC (and its sister company Universal) was being sold to cable giant Comcast. The Federal Communications Commission finally signed off on the deal, and the marriage was consummated… meaning that most of the leadership of NBC was out, replaced by new executives from the Comcast side of the business. Suddenly, The Cape no longer had a champion. Not meaning the superhero (or “pretend” superhero) of Vince Faraday, but the NBC suits that had believed enough in the possibilities of the show to put it on the air in the first place. What hope did The Cape have if there was no longer anyone around to fight for a continuing adventure in the network offices? Promotion fell, audiences fell, and an original order for 13 episodes fell to just 10, less than three weeks after the series premiered. The showrunner (John Wirth) left the series in mid-February to become executive producer and showrunner on a potential fall TV series for the CW network called Cooper and Stone. Other actors and production staff were finding their own spots on potential new pilots, hoping to land a job that might last in the next season. The ship was sinking. The villains were going to win this one, and they worked for Comcast. In the current world of broadcasting, it’s difficult to find a hero in the board rooms anymore, especially on a network fighting for ratings and unable to stand on its own as a corporate entity. In the fast paced executive world of television, results must be quick or jobs will end quicker, and there’s no longer the stability on either the program side or the corporate side to save a show with slow growth. Many consider the comedy Seinfeld to be one of the greatest success stories in television history… but few remember that, during its first two seasons, Seinfeld was one of the worst performing comedies in the ratings on all of television. But it skewed well with younger viewers and NBC could afford to be patient then, as it was the #1 network. There were people comfortably in place at NBC who believed in the show, and lobbied for its continued existence… and Seinfeld became a television phenomenon a few years later. At the time of The Cape, NBC was finishing fourth as a network, and its competition was the younger skewing The Bachelor and the top-rated CBS comedy block. With no executive consistency and no hero to champion the show, it was almost done for before it started. Like the continued existence of Vince Faraday, as far as the public was concerned The Cape had already died. 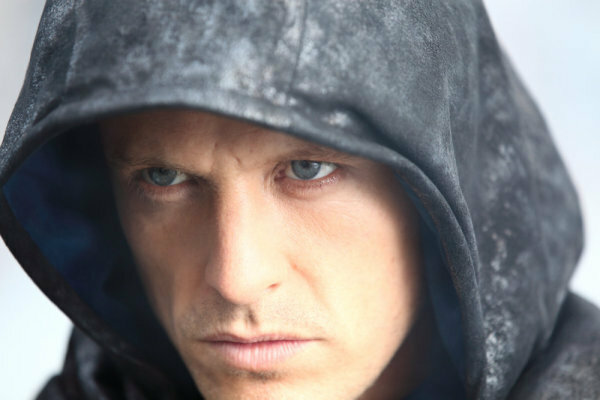 DAVID LYONS (Vince Faraday/The Cape) hails originally from Australia, where he starred in the series Sea Patrol. He’s best known in America as one of the lead actors in the last two seasons of perennial hit ER, and was also seen in the movie Eat, Pray, Love. 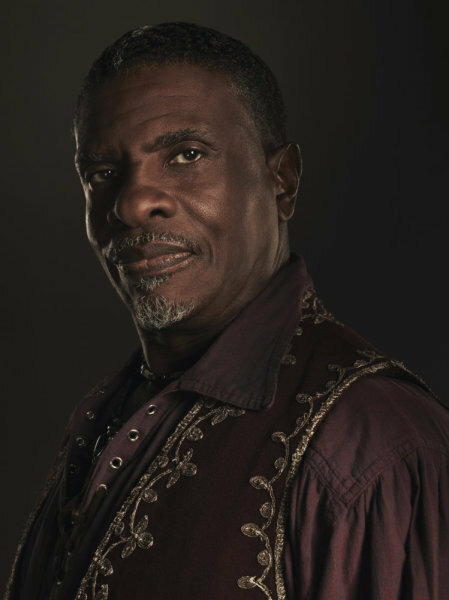 KEITH DAVID (Max Malini) and his great bass voice have been heard in numerous television animation series and video game franchises, most especially as Goliath in the cult hit Gargoyles and the title character in Spawn. He’s been nominated for a Tony for the musical Jelly’s Last Jam, and his television and film work include everything from Denis Leary’s The Job to the movie Platoon. He also is a common voice-actor in many TV commercials. SUMMER GLAU (Orwell) is a geek-favorite, with significant and memorable roles in SF favorites Firefly, Terminator: The Sarah Connor Chronicles, and The 4400. With her geek credentials, she’s a popular guest actress in shows like Chuck, The Big Bang Theory, and Dollhouse. She has had training in ballet, as well as kickboxing and kung fu, and is a strong supporter of animal groups, including the Los Angeles chapter of the SPCA. 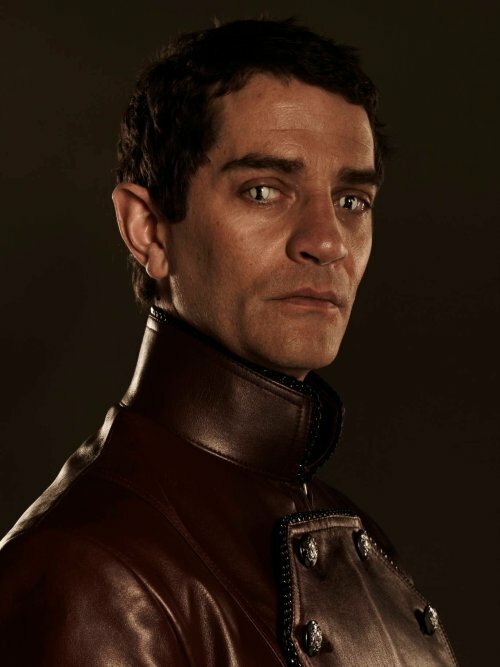 JAMES FRAIN (Peter Fleming/Chess) and his cold, calculating looks make for an excellent villain, with evil intent in shows like True Blood, The Tudors, Invasion, and the recent movie Tron: Legacy. He acts in both his native England and here in the US, with actors like Sir Anthony Hopkins, Cate Blanchet, and Natalie Portman. VINNIE JONES (Scales) is another Brit, but one who gained his original fame on the soccer field. His playing style was extremely rough-and-tumble, earning him notice from director Guy Ritchie who cast him in Lock, Stock, and Two Smoking Barrels. An acting career soon followed, with Jones typically cast as musclemen and tough guys. His role in The Cape was originally meant as a one-shot guest part, but his performance gained him regular status as the series progressed. MARTIN KLEBBA (Rollo) has been featured in the Pirates of the Caribbean trilogy, and appeared on multiple episodes of Scrubs and guest shots on CSI: NY and Andy Barker, PI. He’s extremely athletic, and a member of top-rated Los Angeles Breakers, a team of “little people” adept at soccer and basketball. 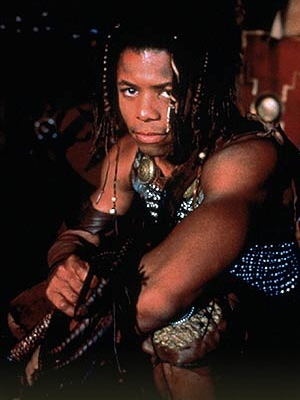 He also runs a six-second 40-yard dash, and has done stunt work in numerous TV and movie projects. JENNIFER FERRIN (Dana Faraday) performed three seasons of soap opera duty on As the World Turns, earning her a Daytime Emmy. This led to recurring roles on Rescue Me, The Kill Point, 3 Lbs., and the American version of Life on Mars. She was also in the original theatre cast of The 39 Steps, a tribute play to Alfred Hitchcock movies where she played ALL the female parts. RYAN WILNOTT (Trip Faraday) is only eleven years old and has a resume many actors twice his age would appreciate, having appeared as a regular in no less than three series in the last four years. In addition to The Cape, he had roles in FlashForward and the HBO series Tell Me You Love Me. Since The Cape is practically a current series (only having been officially canceled less than a month ago, with the final episode airing the last day of February), the episodes are still available on both the NBC site and Hulu, plus both sites have recently posted the remaining unaired episode as a “special online presentation” (read: we already canceled this, but here’s the last thing we shot before we stopped production). Hey, one more episode is better than none, right? There’s also the Orwell is Watching website, designed as if it were the actual website shown on the series, plus a great fansite on the series with numerous photos. I’d also recommend, again on the NBC site, reading the comic (sorry, graphic novel) that was created to coincide with the show. The Cape is too recent to have received a DVD release as of yet, but I’m certain one will eventually show up, as it’s one more way for networks and production companies to recoup money spent on making a show. A hero needs someone to believe in him. For Vince Faraday, it was the faith of his son and the commitment of people like Orwell and Max Malini that kept him going in the face of insurmountable odds. There were fans of The Cape who, although not significantly great in numbers, followed the show and wanted it to continue, finding in the series something more than the manufactured drama of a reality series and the comedic efforts of Charlie Sheen, whose personal trainwreck of a life started unraveling publicly during this time. The corporate upheavals of Comcast/NBC caused even more uncertainty and less faith, as shown by the reduced episode order almost immediately, and the fact that the final episode wasn’t aired was the last insult for the series. I’d hoped for better, although my prediction about the show not making it out of February was unfortunately prophetic, despite the high hopes of many. In The Cape, Vince Faraday tried to be a hero. What he needed was one of his own. Aired at Friday 8/7 Central? No. NBC seems to believe the “hero” spot on the schedule is Mondays at 9/8 Central, a spot previously occupied by Heroes. …and you can be sure the villain has no inclination to return the favor. Some shows are worth waiting for. Sometimes, you find someone to stand up and be counted, to face down the evil in the world. Read about a fictional one let down by the real ones, this week on Friday @ 8/7 Central. Listen with your heart, and hear the Roar. Conor (Heath Ledger) in "Roar"
Many stories have been written about valiant fighters, heroes of every age. Nations are being born by those who believe, even today. There have been many shows about recent wars and frontier explorers, and even some about the distant future and noble causes. But it’s not often that an American television show chooses 400 AD as its era, and the ancient tribal lands of Ireland as its setting. Even in that place and time, there were great stories about change, tradition, and faith. Many should hear these stories. Many should hear about the Roar. Roar told of the battle to unite the disparate Celtic forces to fight against the advancing Roman Empire. 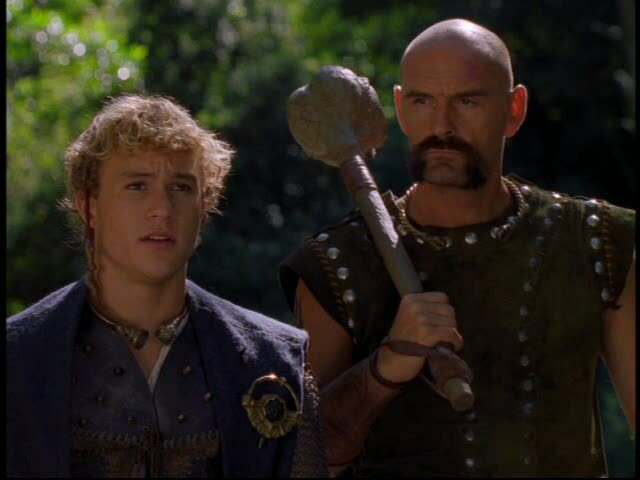 The effort is led by Conor (Heath Ledger), a young clan chieftain whose family was murdered by a rival Irish King in league with the Romans. He’s aided by the family Champion Fergus (John Saint Ryan) who pledges his life to protect Conor, involving him reluctantly in bringing together the Irish people to fight back the foreign foe. They try to preserve Irish heritage and beliefs, protecting all who would be enslaved by the Romans. One of those slaves is Caitlin (Vera Farmiga), who escaped from her captors and is now under the protection of Conor. She’s an excellent archer and skillful warrior, but hides her ultimate allegiance. She fights most readily for the cause, but she’s not completely joined with her adopted people and all their beliefs. She has her own voice to add. Also involved with this group is Tully (Alonzo Greer), a young magician. Tully is clever and inquisitive, but also still very young and impulsive. As a magician, he was very good at creating distractions and misdirection, allowing others in the group to attack or retreat when necessary (and he’s also very skillful with a whip, useful in keeping swordsmen at bay). Tully had been sent along with Conor by the mystical wizard Galen, who had been a mentor to Conor’s father and believed that the young man could help fulfill Conor’s ultimate destiny. Galen knew what Conor was capable of, if Conor could only understand…. The quick and dirty explanation for the concept of the “Roar” to modern audiences might be the dark ages history version of “The Force” from the Star Wars movies, but it’s much more than that. It involves not only nature and life force, but faith (of many kinds), mysticism, destiny, fate, and honor, all combined in ways that are lost to those whose only truths are science and more “modern” technology, even in 400 AD. Seeped in the traditions of Druidic and Celtic culture, Conor and his band fought to preserve that history in the face of the “future” and what could be lost to it, while joining their own voices to shape their own lives. The Romans thought of themselves as bringing knowledge and reason to the savages, but forgot, in their haste to control them, that the Irish had their own culture, their own ways, their own destiny. Reason for one is not always sufficient reason for another. 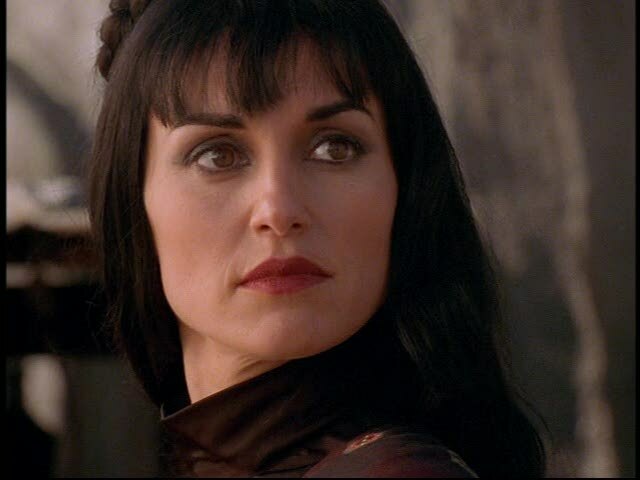 Power is the only reason needed for the resident Roman, Queen Diana (Lisa Zane), who’d entered a political marriage with the murderer of Conor’s family, then killed said King to usurp his throne. She too wants to unite the Irish tribes, but under her rule in Rome’s Empire, earning her a ticket back to Rome and “civilization”. Usually on opposing sides, she and Conor sometimes end up working together against outside foes threatening both Conor’s noble motives and Diana’s more selfish ones. But Diana is deaf to almost all voices but her own. The only voice Diana will listen to is a “sorcerer” named Longinus (Sebastian Roché). Longinus was a Roman Centurion who has been cursed with immortality as punishment for his actions 400 years ago. He was the tragic soldier who, in what he thought was an act of mercy, put a spear through the body of Christ on the cross. Longinus cannot have the relief of death until he again finds his weapon, known as the “Spear of Destiny”. He can see visions of the future and has some magical abilities, but he cares not for the fight of Conor nor Diana, only that they can lead him closer to what he seeks. Diana will gladly use Longinus’ knowledge and abilities to further her own aims as well, but there is likely at least some feeling for each other, no matter how twisted their motives have become. You can see how magic and spirituality are bound deeply into the mythos and mystique of Roar. Very early Christianity is displayed side-by-side with Druidic teachings, and the mysticism of both is touched on in unique ways. Neither is shown to be superior to the other, but that was true of the world of 400 AD, and the changes Ireland, Rome, and many other places were going through at the time. While not a documentary by any means, Roar treated all ideas as valid, all voices as part of the tapestry, as it should. Religion didn’t exist for these characters so much as faith did, the triumph of personal beliefs over institutionalized dogma. The revelation of Caitlin’s Christian faith combined with her fight for the Celtic ways of independence showed that both could co-exist, and that humanity’s beliefs were for individuals to follow and keep. Both Christianity and Celtic Druidism were shown as powerful entities, capable of miracles and wonders. The essential basis for using the unexplained in any show (or overly advanced techno-babble in a science-fiction show) is that the mysterious and magical MUST have rules that are consistent and understandable to the audience, or they feel cheated in the storytelling. Admittedly, Roar didn’t last long enough to clearly delineate the rules for its use of miracles and magic, but it’s uncertain if the show was allowed to have consistent rules in the first place. Listen, and you might hear the "Roar"
Even the central concept of the “Roar” itself was affected. The closest the show ever got to nailing it down in the series was Galen’s quote above, found in the pilot episode. 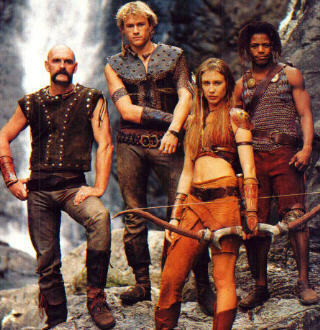 FOX couldn’t make up its mind what kind of show Roar was supposed to be, whether it was a take-off on Excalibur, Braveheart, or Robin Hood. (Of course, it wasn’t really designed to be ANY of these, but tell that to network executives who’d rather have an easily familiar “handle” on concepts.) When it was good (which was much of the time), it was good despite of the lack of direction coming from the “suits” and due to the commitment of those directly involved in making the show. In many ways, it was like the actors and crew really were the Irish clans, uniting to fight off the invading Network Romans who believed they were “helping” the poor “barbarians”. 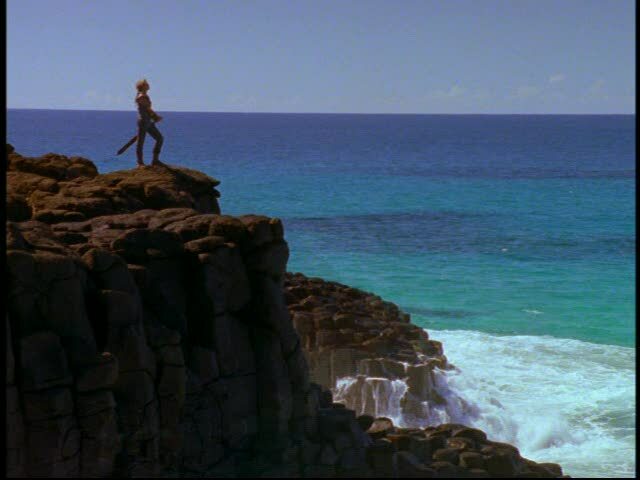 The series was filmed in Australia (Ledger’s native country), giving it a tremendously different look from most American network fare, and the distance might have insulated those directly involved in the making of Roar from some of the network interference. Still, they had to band together and unite (in more ways than one) in their struggle to make Roar a worthwhile endeavor. The group literally fought through many hardships to make the show. John Saint Ryan was injured during a scuffle with some drunken ruffians outside an Australian bar, showing up at filming with a couple of significant cuts on his face. The make-up department left them there, giving his on-screen appearance as Fergus a more battle-scarred, weathered look. Vera Farmiga suffered appendicitis during the same episode and was rushed to the hospital for emergency surgery, but was back on the set filming three days after the procedure. But like on Roar, not everything was about battles. The cast became so close that it created two serious personal relationships along the way. Heath Ledger ended up dating his onscreen “nemesis” Lisa Zane for a time. 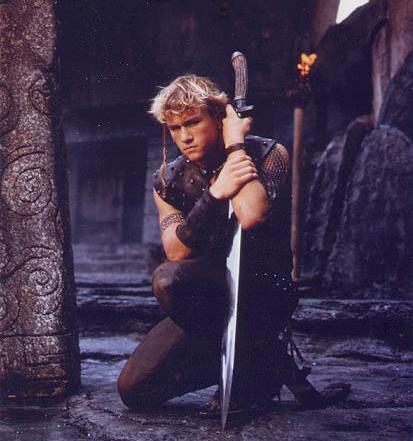 When the series was canceled and Zane returned to Los Angeles, Ledger followed and began his American film career. Two other “opposing” actors, Vera Farmiga and Sebastian Roché, eloped after meeting on the set of Roar. Their marriage lasted seven years before it ended, but these relationships show the bond of the actors far away from the traditional Hollywood scene. Ledger often wore a leather cuff (seen in some of his other roles) given to him and other cast members as gifts by Farmiga. Roar did receive one Emmy nomination that year for another unique voice, the fantastic Celtic music score, which gave the show even more of a mysterious magical feel. (It helps when you feature the beautiful music of artist Lorenna McKennitt!) Of course, considering the show was created by Shaun Cassidy and Ron Koslow, mysterious and magical were not surprises. Cassidy, having long left his teen pop music career behind, was the creator of the darkly imaginative American Gothic, which was also premised on themes of religion and mystical occurrences. Koslow had previously created Beauty and the Beast for television, developing a complete underground society and fantasy rooted in reality. Both previous shows featured out-of-the-ordinary stories about different forces encroaching upon the worlds their characters inhabited and protected, and in this case Roar was right at home. Ultimately, Roar lasted only eight episodes (out of thirteen filmed) on FOX before losing the ratings battle. It was an uphill fight to begin with, as a summer series on Monday nights in a season that FOX only landed one series in the Top 50 (that being The X-Files on Sunday nights). So, no successful shows to pair it with, and no promotional outlets to advertise the show on, meant almost no one even found Roar in the first place. If they never discovered the series, viewers in our modern world wouldn’t know how to discover the force of life and nature known as the “Roar”. After all, it’s all around us, if you just learn how to listen…. 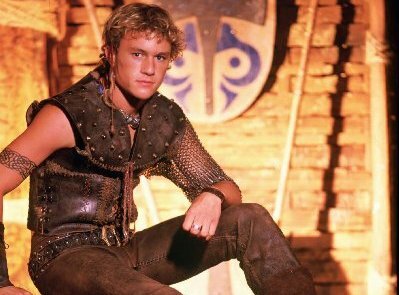 HEATH LEDGER (Conor) quickly became a movie star in America after Roar, landing heart-throb parts in 10 Things I Hate About You, A Knight’s Tale, and The Brothers Grimm. Landmark dramatic parts followed with Monster’s Ball and Brokeback Mountain, and he was awarded a posthumous Oscar for his riveting performance as the Joker in The Dark Night. An actor who truly cared about his craft, he will be most sorely missed. 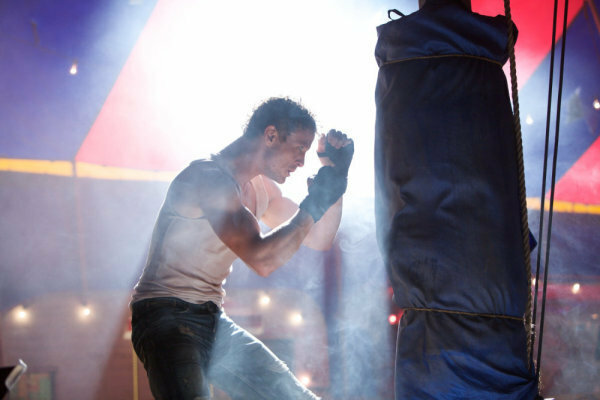 JOHN SAINT RYAN (Fergus) has had a career in multiple venues, having first been a Black-Belt martial artist who was used in action films for his fighting abilities. This led to acting, primarily in his native England, until a movie deal with Cannon Films brought him to America for a series of modest-budget features. After Roar, his stunt abilities led him to the world of horses, where he became a champion rider and trainer, winning major competitions around the world. VERA FARMIGA (Caitlin) has also become a movie star, after first training in TV series like UC: Undercover and Touching Evil. Her film career included major roles in The Departed (for which she was nominated for a Golden Globe) and Up in the Air (for which she was nominated for an Oscar). She has a unique audition style, preferring to make “mini-movies” instead of simply reading for parts, allowing her to more fully develop a character and make a greater impression on prospective directors, an approach which has obviously worked for her. LISA ZANE (Queen Diana) showed up previously on this website for her role in Profit, playing a good person in a series that was all about the bad one! 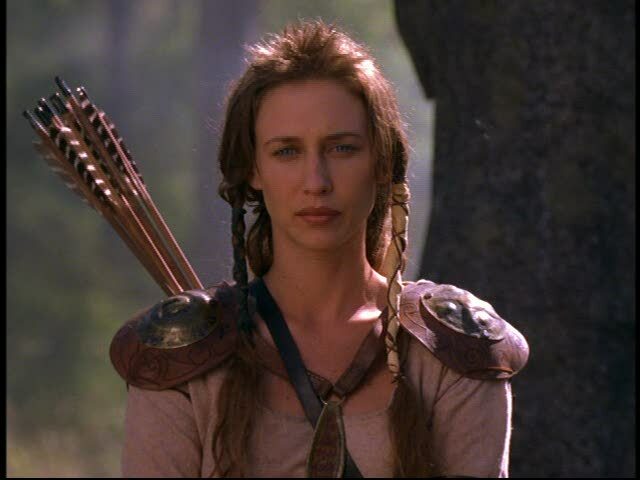 She was featured in a different “otherworldly” series, Dinotopia, and has done voices for the animated Biker Mice from Mars (which makes for one heck of an eclectic career path). In addition, she has a cabaret singing career, and was recently elected into the Songwriter’s Hall of Fame. 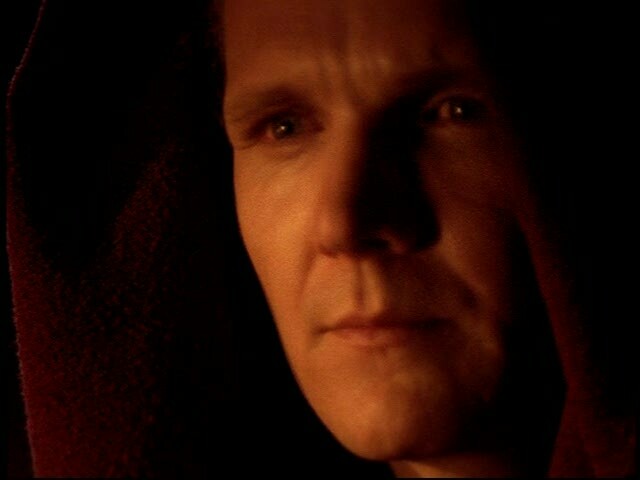 SEBASTIAN ROCHÉ (Longinus) fluently speaks six languages, many of which he has used in his acting career. He went from the past in Roar to the future as a regular on Odyssey 5, and later ended up in the present as a three-year regular on General Hospital. Most recently, he has been a recurring character on the Fox series Fringe, and will next be seen in Steven Spielberg’s long anticipated movie The Adventures of Tintin. Roar was released on DVD in 2006, and although there are no extras, all episodes (including the unaired ones) are included. There were two original novels released based on the series, but it seems as if the second (Roar: The Cauldron) was a previously written “Celtic magic” novel with the Conor character shoehorned in as the protagonist, as it has little to do with the show mythology or the other characters. Some of the episodes are available for streaming on Netfilx (including a few of the unaired eps) and there are numerous websites dedicated to Heath Ledger featuring sections on his Roar experiences. The cast and crew of Roar learned exactly what the mysterious “Roar” of ancient legend was about, and their faith in it drew them together in magical ways to create a show unlike any other before or since. When all parts of our world are respected, joined together, and even cherished, then there’s no limit to what we can achieve, individually and collectively. In our modern world, it’s far too easy to forget that there is an essential truth to humanity, faith in our world and ourselves, and a simplicity of life and nature that mankind cannot hope to replace with mechanical invention and aspirations of power over others. Advancement is good, as are the tools of civilization we invent… but people who use those tools and the civilization we create with them must always respect each and every one of us who inhabit our world. Because the true voice of nature and humanity can never be silenced. Together, our own “Roar” can be almost deafening, and yet also defining to those who dare to listen. Be one of those people, hear us all together, and lend your own voice to the “Roar”. 8 aired episodes — 5 unaired episodes (later shown on Sci-Fi Channel). All available on DVD. Aired at Friday 8/7 Central? Monday nights at 9/8 Central, with little promotion and less chance. A show about history turned into history. Comments and suggestions encouraged and appreciated, as always. Reason for one is not always sufficient reason for another. Go back to an age of turmoil, change, honor, and becoming stronger by believing in things greater than yourself. Listen with your heart, this week on Friday @ 8/7 Central. The subtitle for the movie Star Trek VI was The Undiscovered Country. It refers to Shakespeare’s use of the phrase in Hamlet (Act III, Scene I) and the famous “To be, or not to be” soliloquy. The undiscovered country is, of course, “not to be”, as it is a reference to death and the fears of what lies beyond our existence. Strangely enough, Star Trek and Shakespeare’s concept of death also combine in the life of one of the most creative and best writers in modern television, who gave us one of the quirkiest and most engaging shows in recent history. The man is Bryan Fuller, and the show is Pushing Daisies. An amazing and colorful vision appeared on ABC television screens in the Fall of 2007. 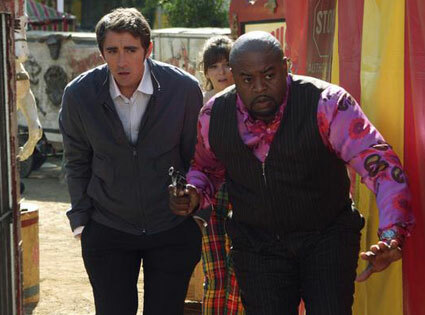 Pushing Daisies told the story of Ned (Lee Pace), proprietor of The Pie-Hole bakery and possessor of a very unique ability — he could bring the dead back to life with a simple touch. Of course, the ability had a couple of drawbacks: if he didn’t touch the (previously) deceased again within a minute, someone else nearby would die instead, and if he touched the person he’d saved again, they’d immediately die with no more second chances. First touch, life… second touch, eternal death… if he EVER touched them again!!!! Young Ned discovered these facts as a child when he tried to revive his own mother (seemingly causing the death of his childhood sweetheart’s father across the street), then accidentally causing his own mother to die once again (permanently) from a simple kiss goodnight. Ned literally had life and death in his hands… a terrific power that became a terrible burden for him around those he loved. (He had even brought his faithful dog back to life, but now has to pet it with a mechanical hand/back scratcher, because his own touch would mean losing his beloved companion forever!) After the (final) death of his mother, young Ned was sent away to school and became a loner, keeping others at an emotional arm’s length throughout his life, and never told anyone about his secret. Unfortunately, his ability to resurrect the dead is accidentally discovered by private eye Emerson Cod (Chi McBride), who figures Ned would come in real handy tracking down unsolved murders. All Ned would have to do is “revive” the victim, allow them a minute to tell Emerson who their killer was, then let them expire in peace with another touch. This would allow Emerson to find justice for the deceased (not to mention collect any reward money) with little of the work. They first become partners (grudgingly) through Emerson’s blackmail threat to expose Ned, then later as friends when Ned discovers he can actually put his ability to some good use this way. It might work… but a particular dead body changes everything…. Ned finds out his childhood sweetheart has been killed under mysterious circumstances, and convinces an unsuspecting Emerson they should take the case… but it’s really a ruse for Ned to visit the funeral home and revive his long-lost (and temporarily deceased) love, Charlotte Charles (Anna Friel). Since the debacle with his mother, Ned’s never been tempted to keep another dead body alive, but he can’t let his true love die… so he lets the minute elapse… and the crooked funeral director dies instead. “Chuck” (as she prefers) is amazed to be alive again, and even more amazed to discover her benefactor is Ned, the boy she loved as a child growing up across the street. (They were long-lost sweethearts, each other’s first and only real love… no wonder he couldn’t let her die!) Chuck is the catalyst for Ned to use his power for helping others by fulfilling their dying wishes (even if they’re already technically dead). This puts her at odds with Emerson, as there’s only so much information that can be expressed in 60 seconds, and at odds with Ned, who has recovered the woman he loves, yet can’t touch her again without killing her. No holding hands, no comforting touch, no kiss… Ned and Chuck are a couple in deep emotion only, for even holding hands would be the end of it all. Chuck and Emerson are introduced as Ned’s “friends” to Olive (Kristin Chenoweth), the waitress at The Pie-Hole. She’s been pining for Ned’s attentions (to the point of moving in next-door to him) and wants to be involved in solving the mysteries as well. Although Olive is unaware of Ned’s ability, she discovers that Chuck’s family thinks Chuck is still dead, and she believes that Chuck is merely hiding from them for some reason. 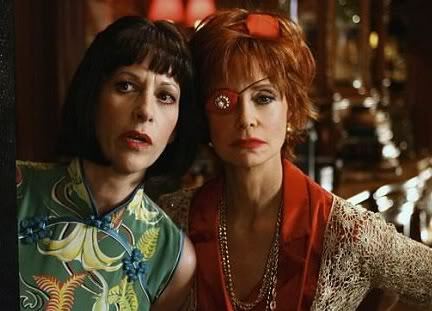 Olive befriends Chuck, and later also befriends Chuck’s aunts Lily and Vivian (Swoosie Kurtz and Ellen Greene), although she doesn’t give away to them the knowledge of Chuck’s revival. Oh, and Chuck doesn’t know about the whole “I think I killed your father” thing with Ned either…. Secrets abound, death abounds, life abounds. See, it’s Hamlet all over. Actually, it isn’t Hamlet. Instead, it’s an incredibly stylistic display of color, mystery, laughter, whimsy, romance unrequited and romance unfulfilled, and a very light way to treat death. Pushing Daisies was a mystery show, a comedy, a romance, and even on occasion a musical (because it would be a crime to put either Kristin Chenoweth or Ellen Greene in a show and not have them sing once in a while). If we can't kiss, we'll let the toy monkeys do it for us. It also brought the “quirky” in full force. Aunts Lily and Vivian were known as the Darling Mermaid Darlings, famous for their synchronized swimming act (that is, until Lily ended up with an eyepatch and Vivian became agoraphobic and wouldn’t leave their house anymore). Emerson had a long-lost daughter and a collection of pop-up books, and used the books to try to find her (don’t ask). Chuck’s hobby was urban beekeeping (and that suit came in handy to prevent any accidental touching by Ned). Olive became a nun at one point (I told you, don’t ask). And Ned was a simple pieman with a long-held secret that might destroy his chance at love beyond death (twice). Ordinary, Pushing Daisies certainly wasn’t…. For that, we thank the extraordinary Bryan Fuller. Fuller got his start by being an obsessed Star Trek fan, like so many others. But his imagination allowed him to become part of the strangeness that is television. Watching Deep Space Nine, he was struck by how the episodes and stories were put together, and submitted a spec script (meaning unsolicited) to the producers through Trek‘s “open script search” program (unique in the industry, and never really repeated thereafter). His initial idea was strong enough that the producers bought it for the show, and invited him to “pitch” other stories for potential scripts. Another idea was sold to DS9, and he ultimately ended up on sister series Star Trek: Voyager as a staff writer for four years, contributing over 20 scripts and learning from writers that went on to produce CSI, the Battlestar: Galactica revival, Castle, and many other successful series. He created both the Showtime series Dead Like Me and the Fox series Wonderfalls, each featuring off-kilter storylines and unusual protagonists dealing with large issues in smaller ways. Dead Like Me obviously uses death as a central theme, but in a very different way from Pushing Daisies. Magic and mystery, two very important elements of Pushing Daisies. The mystery element is there in the form of the “procedural”, solving murders and getting clues from dead people in the morgue. The magic… well, that was everywhere on this show. Young Ned. Young Chuck. Young love. Who would kill clowns in a clown car? Then there’s the color palette. With the possible exception of the original Star Trek, it’s doubtful any show on television was this colorful, this bright, this saturated with hues. Here was a show about death, yet presented in a way that was more beautiful and vivid than real life. Add in unusual murder victims (a man claims his wife killed him, but the group then finds out he was a polygamist), weird locations (an entire village of windmills), and outrageous characters (a traveling homeopathic drug salesman, a guy with an incredibly sensitive nose who lives in a sewer, and a woman who trains dogs and uses the same methods on people), and you end up with an intoxicating concoction and a whimsical examination of love and death. No wonder it didn’t last. Please God, don't let them cancel our show! 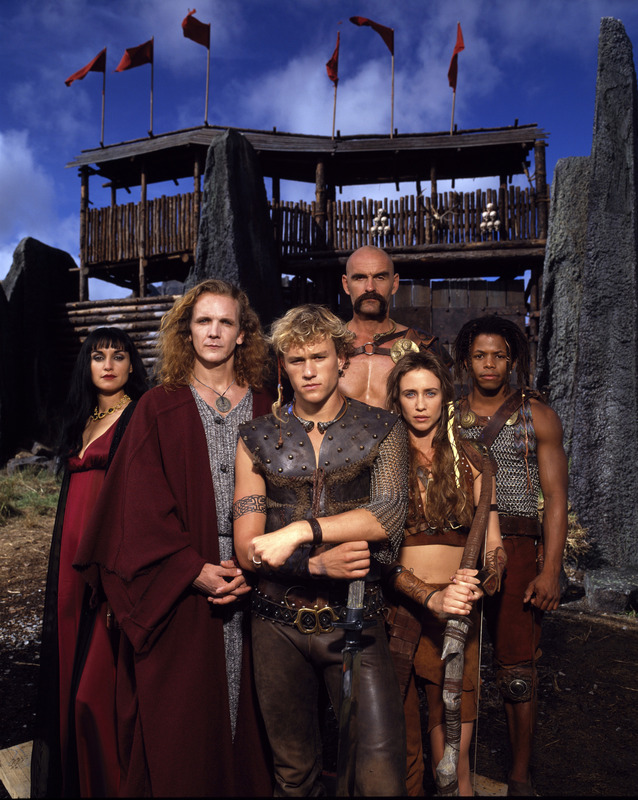 The series was a huge hit for its first season. Pushing Daisies garnered both critical acclaim and significant audiences. Then the Writer’s Strike of 2007 stopped everything, cutting short the season (to nine episodes) and removing the show from the public eye. Although it returned almost a year later for 13 more episodes, the previous attention the show had received was lost and the audience never returned. Despite 17 Emmy nominations and 7 Emmy wins over its two shortened seasons, even Ned’s ability couldn’t bring Pushing Daisies back from “the undiscovered country”. LEE PACE (Ned) is primarily a movie actor, but his two TV series (Pushing Daisies and Wonderfalls, both created by Bryan Fuller) have landed articles on this website. He was first noticed in the Sundance/Showtime film Soldier’s Girl, a role for which he lost 25 pounds and gained a Golden Globe nomination. He will be seen in both parts of the upcoming Twilight Saga movie series, Breaking Dawn. ANNA FRIEL (Charlotte “Chuck” Charles) began acting professionally in Britain at the age of 13, appearing in series such as G.B.H., Emmerdale, and Brookside (gaining a National Television Award in the UK for “Most Popular Actress” in the latter role). Also a Golden Globe nominee for Pushing Daisies, she’s spent succeeding years focusing on other projects, appearing onstage in Breakfast at Tiffany’s in London’s West End and playing the villain in the upcoming miniseries Neverland. CHI McBRIDE has been a regular on many series, playing both comedy and drama with ease. First featured on The John Laroquette Show, he’s appeared on The Secret Diary of Desmond Pfeiffer, Boston Public, The Nine, and House. His current gig is as a regular on the series Human Target. His nickname “Chi” is actually short for Chicago, his hometown. KRISTIN CHENOWETH is a star in almost any medium, and an unstoppable force with a huge voice in a tiny body. While her own starring TV series died a quick death (Kristen), she’s been a Broadway stalwart winning a Tony Award for the revival of You’re a Good Man, Charlie Brown and a nomination for Wicked (an award she lost to her co-star, Idina Menzel). On television she’s played Marian the Librarian in The Music Man, and now has a recurring role on Glee. She’s also cited as the inspiration for Aaron Sorkin creating the Harriet Hayes character in Studio 60 on the Sunset Strip. SWOOSIE KURTZ is another amazingly talented performer, earning Tony and Emmy awards herself. First a regular on the Tony Randall series Love, Sidney, she later starred in the series Sisters and is currently seen on Mike & Molly. Her stage career includes performances in House of Blue Leaves, Fifth of July, and Imaginary Friends. Her unusual first name comes from the type of plane (“half swan, half goose”) her Air Force father flew on many missions during WWII, a plane that hangs in the National Museum of the USAF. ELLEN GREENE began her performance career as a cabaret singer, moving quickly to the world of New York theatre. She originated the role of Audrey in the Broadway musical Little Shop of Horrors, and reprised the role in the cult hit film version with Rick Moranis. She’s recently appeared as Miss Adelade in a star-studded concert version of Guys and Dolls at the Hollywood Bowl, and been seen on episodes of The Young and the Restless. Pushing Daisies garnered many fans, especially during its inaugural season. Some fans were moved to create great websites dedicated to news and information about the series, like this one. A limited number of episodes are available at The WB website (the show’s production company), and these are rotated out every week so you can see what you’ve missed. Both seasons are available on DVD (with yummy extras). A first-season music CD was released, with the second-season music just announced for April 2011. A special limited edition comic book came out during Comic-Con 2007, and news is that the story of Pushing Daisies will live again in comic form in the Spring of 2011 with new stories by Bryan Fuller AND a soundtrack likely available online with the original cast! (Even when this show does a comic, it’s different!) Finally, the Paley Center in L.A. did a retrospective on the show with the entire cast and some of the production staff, and that event was filmed and is available on DVD and Video on Demand through Amazon. Everything about Pushing Daisies screams unique, from the storyline to the music to the colors to the acting and writing. Bryan Fuller was just a typical fan of television watching at home, and ended up becoming a TV creator and producer involved in some of the best and most inventive television made in the last two decades. He’s approached J.J. Abrams and Bad Robot Productions with ideas on adapting their rebooted Star Trek for television after the current movie run is done, helping resurrect the venerable TV franchise from the dead once again. His story, and the story of Pushing Daisies, gives hope to all those whose dreams and efforts may have died that there is still life. There is still a way for dreams to come true. There is still hope for amazing things. The Pieman’s magic touch may be fantasy, but it was wrought out of a combination of reality, hard work, and dreaming impossible things that come true. And that is really the definition of both Star Trek and Pushing Daisies. Life after death. The facts are these…. Final aired episode: June 13, 2009, although the majority of episodes ended the previous December, as ABC simply burned off the final three episodes on Saturday nights long after the show was officially canceled. Aired at Friday 8/7 Central? With the exception of the burnoff episodes, Pushing Daisies aired on Wednesday nights at 8/7 Central. It refers to Shakespeare’s use of the phrase in Hamlet (Act III, Scene I) and the famous “To be, or not to be” soliloquy. Here was a show about death, yet presented in a way that was more beautiful and vivid than real life. There is still a way for dreams to come true. There is still hope for amazing things. Take a minute and join me for a colorful trip through a quirky, strange, and wondrous world of love, death, some music, and an ever-so-light touch of whimsy, this week on Friday @ 8/7 Central.